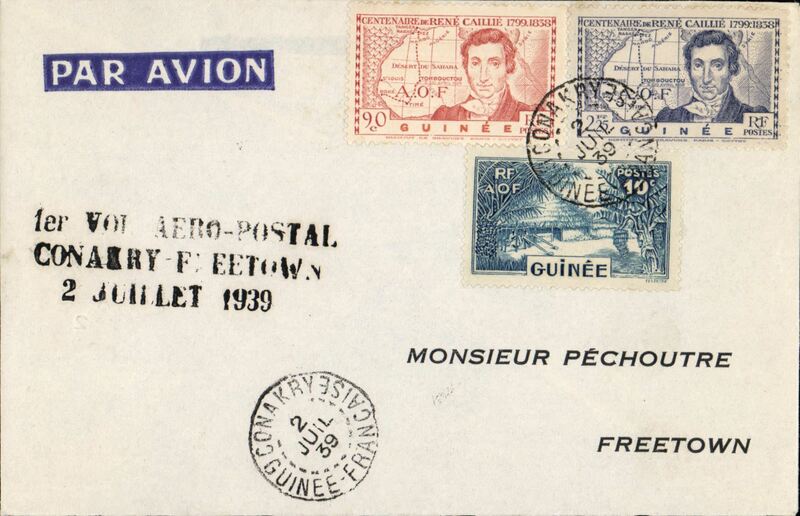 Elder's Airways experimental flight, Conakry to Freetown, Sierra Leone, bs 2/7, imprint etiquette cover franked 3F 25c, "1er Vol Aero-Postal/Conakry-Freetown/2 Juillet 1939". 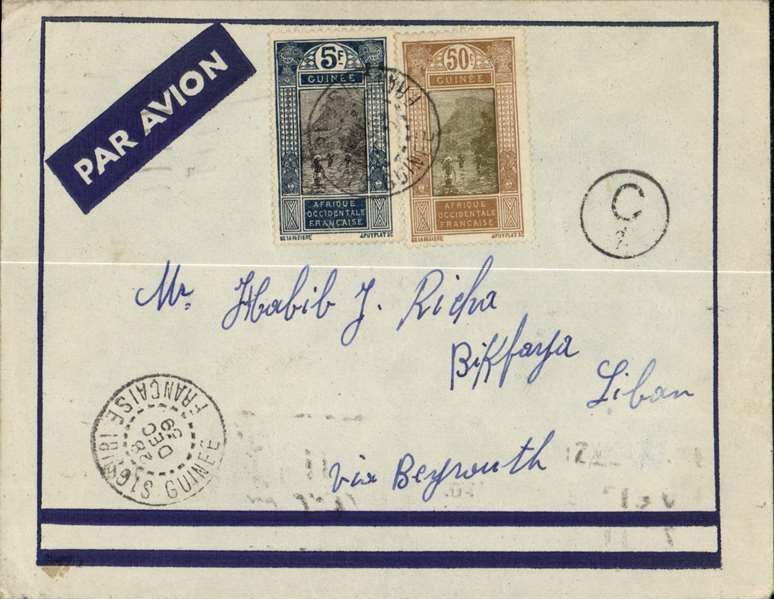 WWII censored cover, Siguiri to Bikfaya, Lebanon, bs 11/1/40, via Marseille 7/1 and Beyrouth 10/1, blue frame/white imprint etiquette cover franked 5.50F, C/2 in small black circle (Gabon) censor mark. Interestng routing.